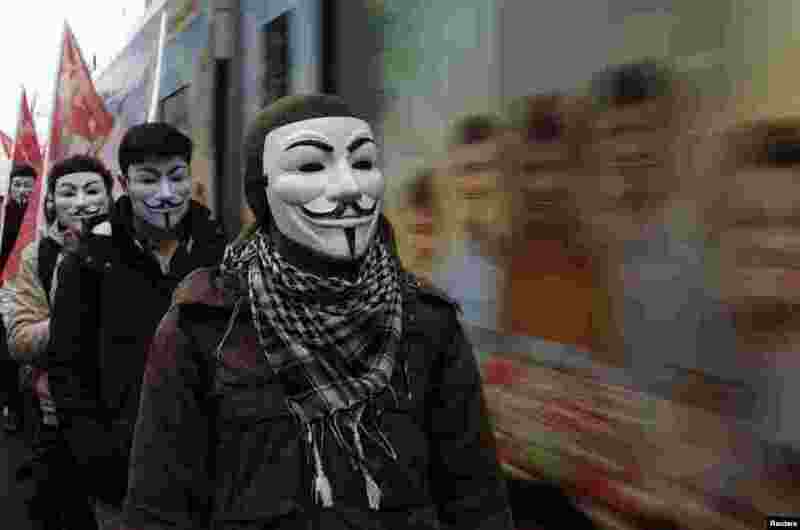 ۱ High school students wearing Guy Fawkes masks take part in a protest against the education policies of the ruling AK Party as a tram drives by in Istanbul, Turkey. Education is the latest flashpoint between the administration of President Tayyip Erdogan, and secularist Turks who accuse him of overseeing creeping 'Islamization' in the NATO member state. 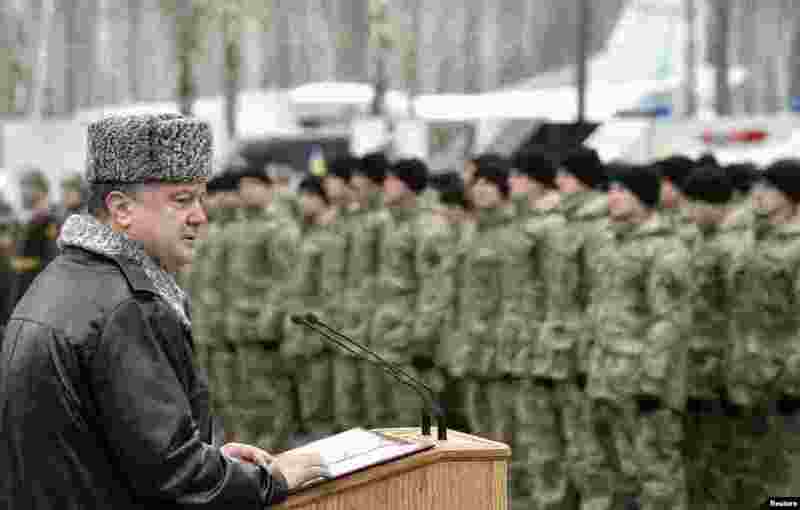 ۲ Ukraine's President Petro Poroshenko delivers a speech during his visit to the training center of the Ukrainian National Guard outside Kyiv, in this handout picture. Poroshenko said the country is still a long way from peace and that there are no guarantees a ceasefire deal agreed upon in Belarus Thursday would take effect. 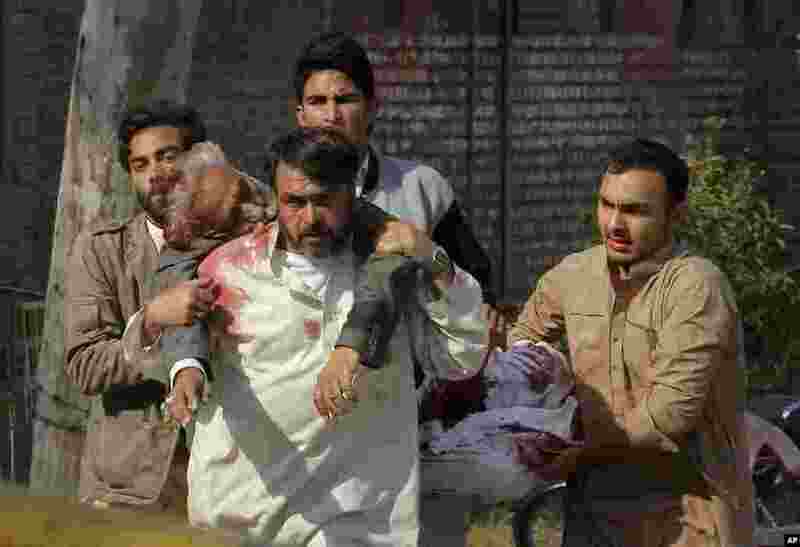 ۳ People rush an injured person to a hospital following an attack involving suicide bombers and gunmen at a Shiite mosque in Peshawar, Pakistan. 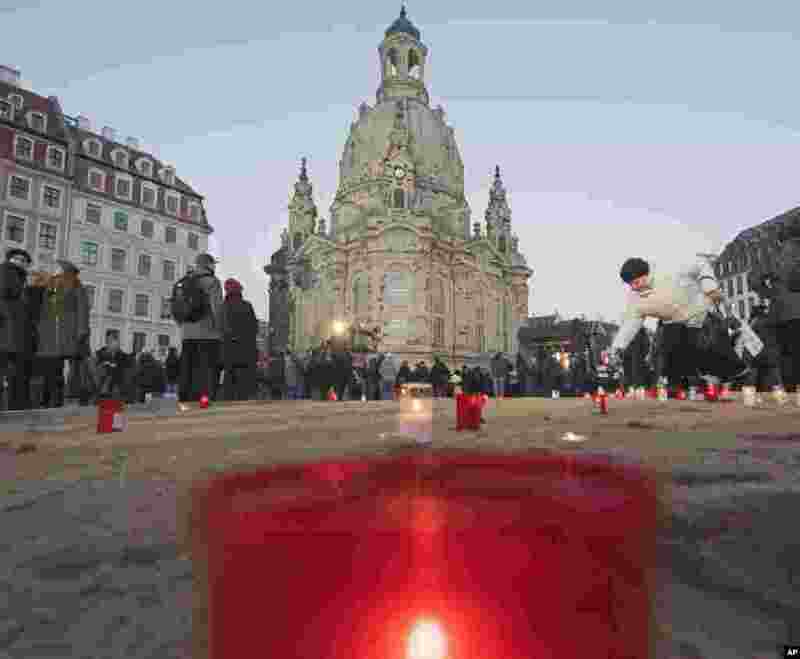 ۴ A woman lights a candle in front of the Frauenkirche cathedral (Church of Our Lady) commemorating the 70th anniversary of the deadly allied bombing of Dresden during WWII in Dresden, eastern Germany. British and U.S. bombers destroyed the centuries-old baroque city center.